What area or skill are you best in? What can you do better than any other competitor in the marketplace? In which area of responsibility do you have valuable experience with which you could offer your customers and prospects great added value? The answers to these questions is the first step towards creating an expert strategy (and thus your content strategy). Nevertheless, I always advise my workshop participants: GIVE IT A TRY AND CREATE A FEW PIECES OF CONTENT. You are by no means the only supplier. Let’s say one of your best friends needs a heart surgery. Together, you consider who would be a suitable and qualified doctor. The first doctor presents himself on his homepage as a heart surgeon, has 15 years of professional experience and has gone through the required training. The second doctor, however, presents himself on his homepage as an expert in heart surgery, lists clinics all around the world where he is regularly flown in just to conduct heart surgery. More importantly, he displays his bibliography with more than ten specialist papers published in relevant scientific journals. And he has a blog, where he provides simple and easy-to-apply tips for cardiovascular patients. Which of the two doctors would you choose? Who should perform the complicated surgery on your friend? In fact BOTH would have the necessary training for heart surgery … but only the second doctor shows AUTHORITY. He shows that he is an absolute EXPERT, a distinguished and well-respected professional, and you as a reader now see him as an authority in his field. No matter what profession you have, no matter in which niche or industry you are: You too can use valuable content to position yourself as an expert in your field. Charge fees and hourly rates that are well above the market average. You have now transformed from a grain of sand into a shining beach star at the sea of providers. Prospects and customers recognize you, greet you, respect your work, come to you if they have concrete demand, and recommend you to their friends and acquaintances. 1. What questions and / or challenges do your everyday customers have most frequently? You are already experienced in handling our customers. What questions do they ask you again and again? What are their biggest challenges in your field? The easiest way to create a blog post is to write down the kind of answers you regularly have to give to your customers on the phone or in person. Simply write it down and publish it. You know these everyday calls and conversations … write down the questions and answers. Or dictate that – simply record frequent questions and respective answers using the memo app on your smartphone. Then find a freelancer on websites like Fiverr who will transcribe it for you. If it was your physical store, people would probably run away or quit the store in wonder if they saw you eavesdropping on them…but online it’s a completely different thing. So go into 1-2 forums and write down 10-12 questions that are being asked. Another fact- and data-based tip is to find the most frequently searched keyword queries. To do this, I recommend using the tools Google Trends and Google Keyword Planner (Google Account required). There is a an IRON TEST for evaluating whether your content is valuable or not. Does it offer your reader a solution to his or her problem? Or at least a reduction of his/her problem or help with this problem? Yes? Then your content is really valuable! Otherwise … no. Perhaps this has happened to you before … You are working on a document in Word or Excel … and are annoyed by a complex input … You spend forever searching for a simple command, but simply cannot find the solution … finally, after resigning angrily, you contact your colleague, “Oh, yeah, that’s easy, you just have to click here…” he says while he’s running the mouse across the screen and with two simple mouse clicks executes the command you have desperately been looking for. Or you struggle with an issue in your household, like a repair or maintenance issue, and look for a YouTube video. And in 2-3 minutes you get a simple step-by-step-guide and a valuable trick, which makes the whole thing much easier. Your content should offer your customers exactly the same type of moments. Because it is these AHA and WOW moments that make a lasting impression. Readers remember them and will gain more trust. Create real AHA-moments for your prospects! Not only are tips and tricks so effective because they work, but because they satisfy our need for simple and instant gratification. We crave INSTANT gratification of our desires. Offer the readers, who are usually at the beginning of their Customer Journey exactly such attractive tips and tricks, that allow them to gain confidence in your competence and expertise. Step-by-step, you will be able to attract prospective customers and soon turn them into happy and loyal customers. The best way to position yourself as an expert in the market is the publication of valuable and relevant content. Although this can also be done in audio or video form, it is usually too expensive, lengthy, complex and in many industries simply not the best strategy. 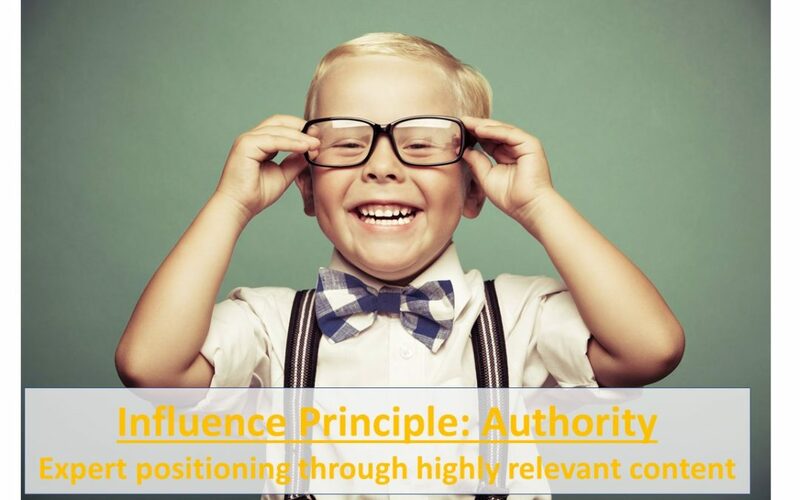 In most cases books, articles, whitepapers, guidebooks and informative blog articles are still the best way to build authority and achieve expert positioning. You do not need to be a passionate writer or author to achieve this preeminence. As a long-time and experienced author and ghostwriter for guidebooks and training materials, let me help you with professional ghostwriting and copywriting services. You have the knowledge and the expertise, I bring it into a didactically meaningful and educationally effective structure. In the shortest possible time, you will receive your ready-to-publish content and can start attracting more valuable prospects and customers for your company.